It was not emotional only for the winners, it was emotional for runners-up as well. Years and years of hard work, countless hours of practice, fine-tuning the technique, and a competition that was so tight that the excitement continued until the last dance and the last scores. And it was the tight competition itself that pushed Evaldas Sodeika and Ieva Zukauskaite (LTU) to greater level in their last two dances of the final. Being tied in scores changed to a slight lead over Francesco Galuppo and Debora Pacini (ITA). The difference in scores was only 0,5 points before the last dance. After scoring 0,25 points more than the Italians at Viennese Waltz, the excitement and anticipation changed to a happy and relaxed smile, sense of completion. But they couldn’t have done it without their amazing peers. All the credit goes for all the couples, who made the final such a beautiful and a thrilling competition. 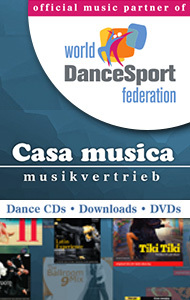 It must have been the best of DanceSport in Vienna. And they all were winners. Dmitry and Olga started their career together 15 years ago, in 2003. 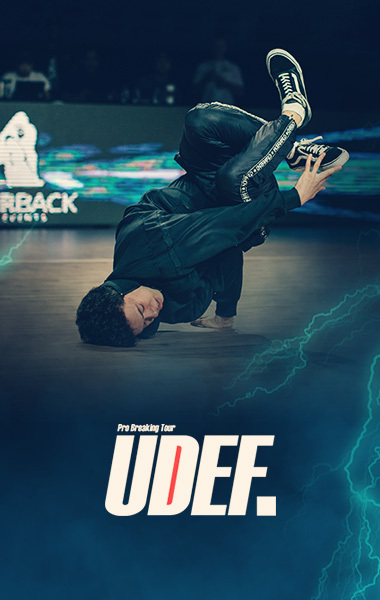 They had their first ever IDSF (pre-WDSF) GrandSlam Standard competition that same year in Moscow, Russia, and they reached top 48. In 2010 Dmitry and Olga participated their first World Championship Standard in Wetzlar, Germany, making it through to the final and being ranked to the 6th place. The first big title for the couple was 2011 World Cup in Vancouver, Canada, and they took it home by winning all five dances in the final. That title was the beginning of something great. Greater than anyone in WDSF Standard dancing has ever reached. Since May 2013 Dmitry and Olga have been on podium, in top 3, in every single competition they have taken part in. By the IWGA World Games in July 2017 the couple had two World Championship titles, in 2015 and 2016 and two European Championship titles, in 2016 and 2017. In the World Games Dmitry and Olga were ranked second. Since then the couple has won all their competitions. Fast-forwarding to October 2018. WDSF GrandSlam Moscow. After three World Championship titles and three European Championship titles the couple is at their home ground at the last qualifying leg of the 2018 GrandSlam Series. It is also the last competition before the World Championship, which will be held in three weeks. 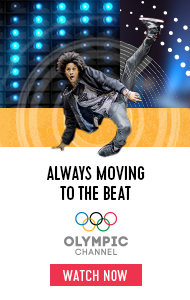 It would be their big chance to win the fourth World Championship title, an achievement no one else has ever reached in Standard dancing. During the last dance of the final, solo quickstep, Dmitry feels something on his foot. He bites his lip, ignores the pain and finishes the last dance and the competition successfully. They win again. The crowd is blown away of the couple’s performance, and the Dance of Honour, a beautiful waltz, ends in tears. Emotions are running high for these two, it has been magical. After the competition he can’t walk. He doesn’t know how he finished the competition at all. There are big problems with his foot. They tell him that he should rest for minimum of two months, without any kind of sport, and not to put the leg on the floor. He is supposed to use crutches for three weeks. But that would mean to lose his and her opportunity to be at the World Standard. An opportunity to make history. Three weeks later. 2018 World Championship Standard in Vienna. Dmitry has found help and overcomes the pain. They seem strong and as the competition continues they are looking more confident than ever. They are sliding on the dance floor like feathers in the wind. They are smiling and seemingly enjoying it. All the difficulties are in the past and they are showing their best, their magic. After the last dance of the final, solo Viennese Waltz, Dmitry and Olga receive a standing ovation. They stay on the dance floor, thanking the crowd longer than usual. Applause is continuing longer than ever. They know what has just happened. After the scores are shown it is true. Dmitry and Olga have secured their fourth World Championship title. Olga can’t hold the emotions, they have done it! They are looking proudly at each other. Dmitry takes Olga to his arms and carries her off the dance floor. At the prize presentation ceremony while other couples are announced, Dmitry and Olga are holding hands, standing close and looking at each other, smiling and whispering. As the winners are announced and the evening is ending to an emotional Dance of Honour, many have tears in their eyes for what they have just been witnessing. A moment that will be remembered. A moment in history. Because they have made history, together. They dance together. It has taken some time to recover from the 2018 World Championship Standard in Vienna. It was such a magical night with many wonderful and memorable moments, big and small. The whole range of emotions were applied as the evening went on towards the decisive stages of the Championship. Throughout the day it was clear which couple would be the favourite to many. Three-time World Champions Dmitry Zharkov and Olga Kulikova (RUS) were chasing for the fourth World title and were trying to stretch their winning streak (which has been running since August 2017) to new lengths. They cleared the quarterfinal with 4,58 points margin and the semifinal with 5,25 points margin to the Italians Francesco Galuppo – Debora Pacini. As the final six were announced, Dmitry and Olga and Francesco and Debora were joined by two Lithuanian couples, Evaldas Sodeika – Ieva Zukauskaite and Vaidotas Lacitis – Veronika Golodneva, another Russian couple Evgeny Moshenin – Dana Spitsyna and a German couple Anton Skuratov – Alena Uehlin in the exciting final. Tango and Viennese Waltz were solo dances, Waltz, Slow Foxtrot and Quickstep were danced in a group. The final started with Tango. Dmitry and Olga took a lead but the second place was tied in scores between Galuppo-Pacini and Sodeika-Zukauskaite. After Waltz the result was the same; the Russians were at lead with 78,63 points and the Italians and the Lithuanians were tied at 75,88 points. The third dance, Slow Foxtrot, shifted the second place for Sodeika-Zukauskaite, but only with a margin of 0,33 points. The rankings 4-6 started to look clear, as Moshenin-Spitsyna were strongly on the fourth place, Lacitis-Golodneva on the fifth and Skuratov-Uehlin on the sixth place. Zharkov-Kulikova scored 39,50 for their Quickstep. They now had over 5 points lead towards the two couples competing for the second place, and they were close to confirming the fourth World Title. Sodeika-Zukauskaite scored 38,17 and Galuppo-Pacini 38,00, and the difference between these two couples shifted to 0,5 points. But it was not over yet for these two. Anything might have happened. After the last dance of the final, solo Viennese Waltz, Dmitry and Olga received a standing ovation. They stayed on the dance floor, thanking the crowd longer than usual. Applause was continuing longer than ever. They knew what had just happened. As the scores were shown it became true. Dmitry and Olga had secured their fourth World Championship title, scoring the highest scores on the final, 39,542. They were looking proudly at each other. Dmitry took Olga to his arms and carried her off the dance floor. And it was the Viennese Waltz which determined the second place for Evaldas and Ieva as they scored 0,25 points more than Francesco and Debora. At the prize presentation ceremony while other couples were announced, Dmitry and Olga were holding hands, standing close and looking at each other, smiling and whispering. As the winners were announced and the evening was ending to an emotional Dance of Honour, many had tears in their eyes for what they had just been witnessing. A moment that will be remembered. A moment in history. Dmitry and Olga wrote their names on the League of Legends, higher than anyone. You could hardly hear the music as the couples passed the full main tribunes during group dances one by one. The crowd was so loud, and respected and appreciated the finalists as hard as they could. After the third dance the differences in scores started to show, after the fourth dance it was almost obvious, but it was the last dance, the solo Viennese Waltz, which made it clear. 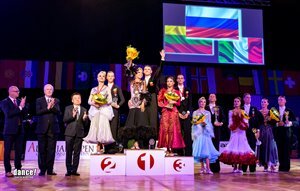 Dmitry Zharkov and Olga Kulikova representing Russian Federation would take home the fourth World title in a row, making history in Standard dancing. As the results for their last solo dance were shown, Dmitry took Olga and carried her off the floor. Congratulations! And thank you for such an exciting and wonderful competition and evening! There were some amazing moments during the semifinal. The Austrian crowd just couldn't stop chanting and cheering when the couples performed their best, enjoying the atmosphere and pushing each other to another level. We have the list of semifinalists. 13 couples made it to the semifinal. You can just feel the heat. 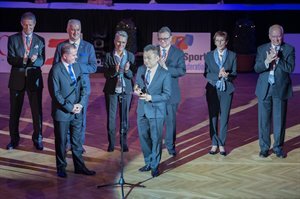 During the Opening Ceremonies there was a special moment when WDSF President Mr. Lukas Hinder transferred the President's mallet as a symbol for the President of the World DanceSport Federation to Mr. Shawn Tay. In his speech the newly declared WDSF President Mr. Tay emphasized his commitment to DanceSport with its multiple disciplines and thanked the Presidium and his family for support. Mr. Tay presented the Honorary Life President diploma to Mr. Hinder. At the end of the ceremony the couples returned back to the floor by surprise and greeted and showed respect for both gentlemen with loud applause. The crowd is getting louder and louder as the competition continues in Multiversum. The couples have already cleared the second round and after a break and the opening ceremonies 25 couples continue to the third round, which is the quarterfinal. 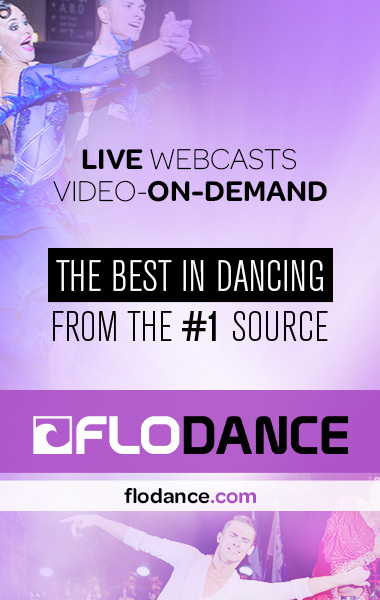 It is also the mark of the beginning of Live Stream at FloDance. There is additional information for Austrians: the live stream is blocked, but instead you will get a program at ORF Sport+ on Sunday, November 25th at 20:15. Couples seem to be in a good mood, and why wouldn't they be. 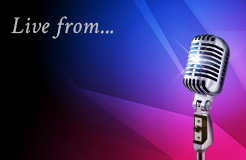 The warmth of the crowd and a beautiful setting combined with well-organized event makes their job easy. Just dance. And enjoy!